Posted: Tuesday, April 3, 2012 2:57 pm | Updated: 10:23 am, Mon Apr 30, 2012. The clubhouse on Cates Avenue is going to get some touching up as well. The carpet, which Lehrer said had been in since the clubhouse was built in 1996, is now torn out and lying near the building. The entire floor will be replaced with hardwood and Lehrer said he hopes to polish up the overall look of the clubhouse. “You won’t recognize it when you walk in this summer,” he said. Steve Haglind, manager for previous property owner Straight River Holdings LLC, said he was excited to hear of what Lehrer and his family had planned for Straight River Golf Course. “Joe has come along and he’s got some nice plans for the place,” Haglind said. Lehrer grew up on a golf course with his parents and said he has always dreamed of owning one. “I’ve just always had my eyes on one,” he said. Although Lehrer plans to hire six or seven people to work at the course, his wife Mary and four children ages 24, 22, 19 and 16 will all play active roles as well. Along with an 18-hole golf course, amenities like camping, fishing, canoeing and motocross will be available. Frisbee golf and paintball may also make it on the list of activities at the golf course. “The property was meant for camping, right down along the river, and we’re just following through with that vision,” Lehrer said. The hope is also to expand the golf course into an events center to be rented for weddings, family gatherings and company picnics. 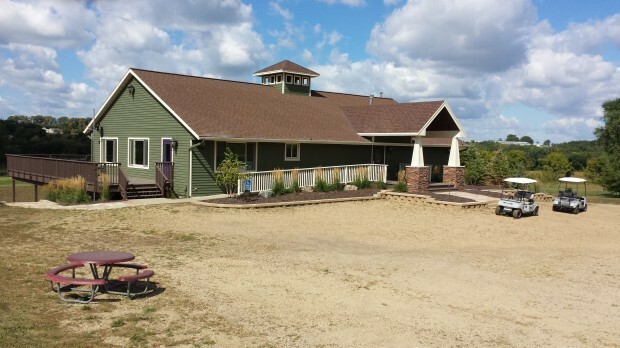 The clubhouse restaurant will be opened year-round and a new chef will be hired. With the greens being seeded this week, Lehrer estimates the course opening to the public in mid-July. He said the early spring has actually helped him get ahead with the work that needs to be done on the property and isn’t worried about opening the course up mid-season.